Guess what I did for my birthday this year? 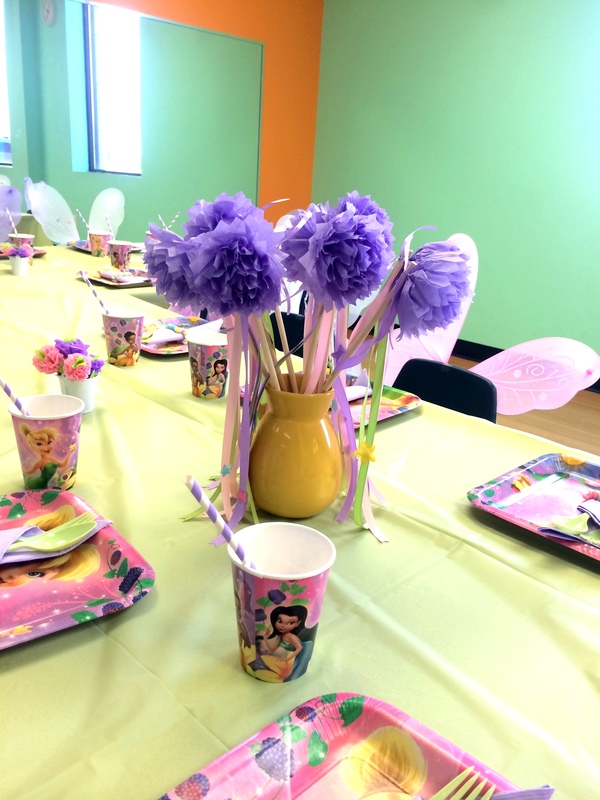 I threw my daughter a Tinkerbell inspired Fairy Party…sorry I meant Fairy Gymnastics Party. In case you’re scratching your heads and wondering why I would do that, the answer is kinda boring – that’s just what was available at The Little Gym. Btw for those of you in the ‘hood I highly recommend these guys. All the girls had an awesome time and Mama was immensely grateful for the much needed help from their staff. Wonderful wonderful wonderful. Anyway, back to the party. 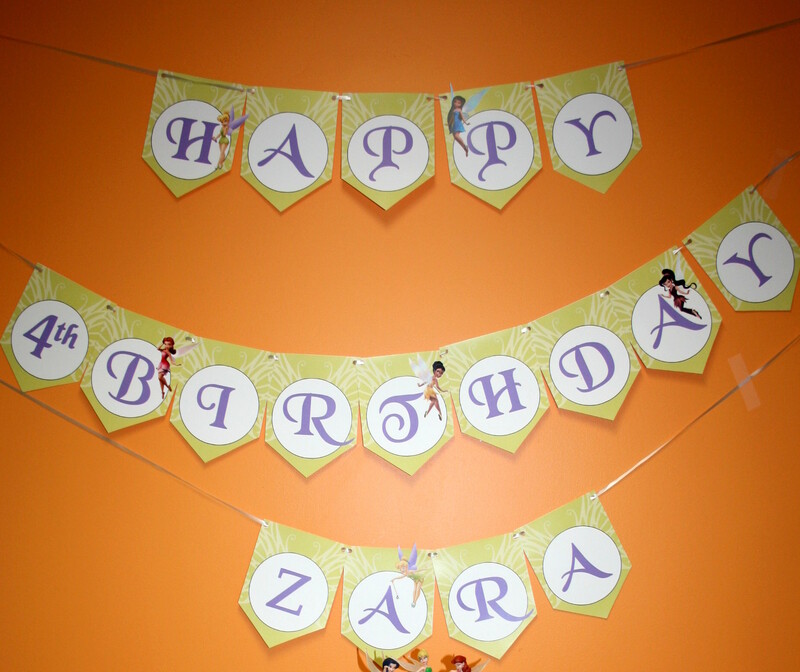 Zara wanted a Tinkerbell Fairy Party for her birthday, but since I am not a huge fan of a lot of the premade Tinkerbell things I tried to keep a balance between overtly Disney things and handmade things. The birthday girl loved it all and I am so happy with how things turned out – minus the things that I forgot to put up *head thwack*. Get ready for a fairly long post (mostly pictures). Invites: These were born of panic, my friends reminded me I needed to get cracking so I scoured my craft box and made these. 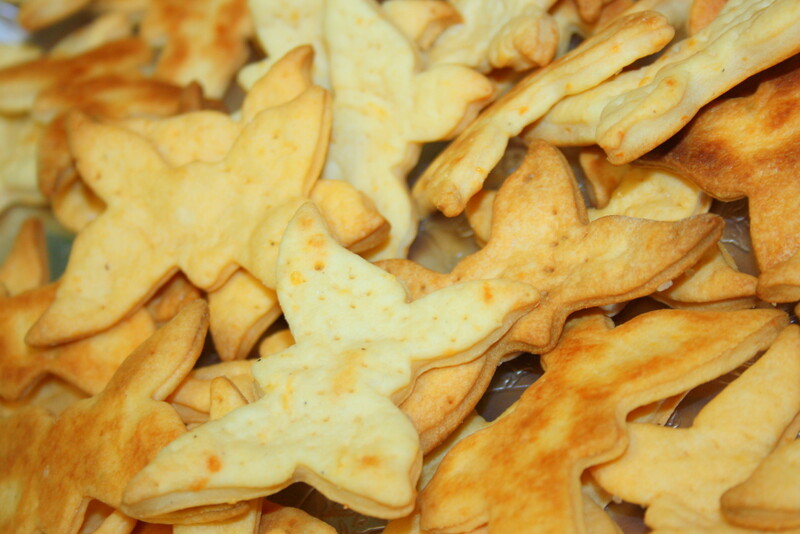 I do like how they turned out and they were pretty easy to do as well. Wands: This was a pretty and inexpensive craft. The purple tissue used in the flowers, the dowels for the wand, and the stars on the ribbons are from the dollar floor. The ribbons are from that real fancy place called Wal Mart. 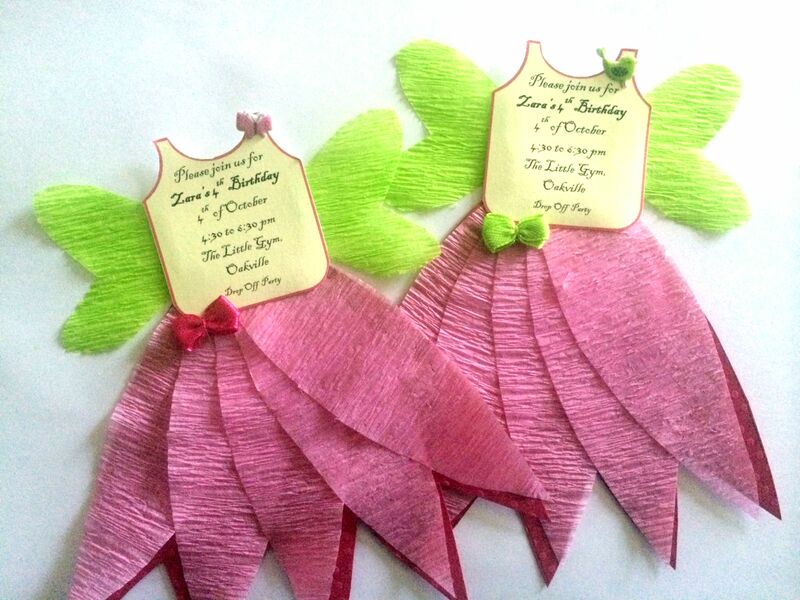 I roughly measured (in handspans) how much ribbon I wanted and then cut 16 sets out in my 3 party colors – green, pink, purple. I stitched the three ribbons together with a thread and needle and then taped them on to the wand. Then on top went my purple paper flowers which were secured onto the wands with the same purple ribbon I used to make the paper flowers (tutorial here). Where it wasn’t as tight as I liked I added a little clear tape. And done. 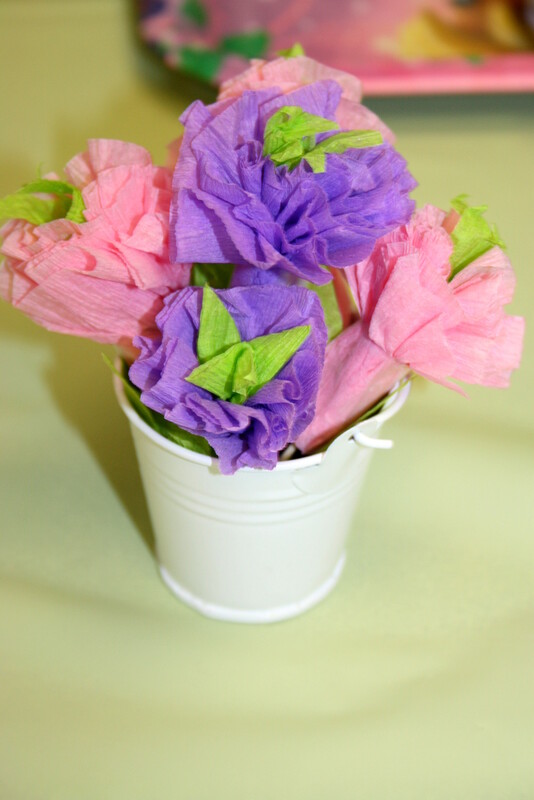 Flower pots: I had scraps of green leftover from green buntings (which somehow didn’t get put up) so I held them in the center and wrapped the pink/purple streamers around them in such a way that the base was tighter and the top fuller. They aren’t fancy flowers, but they do the trick. Candy Napkin Rings: I first saw these here and they are so quick and easy! For the food labels I downloaded something from the internet and tweaked it to suit my purposes – all done in Word, nothing fancy. I am happy to pass them on to anyone who wants them. 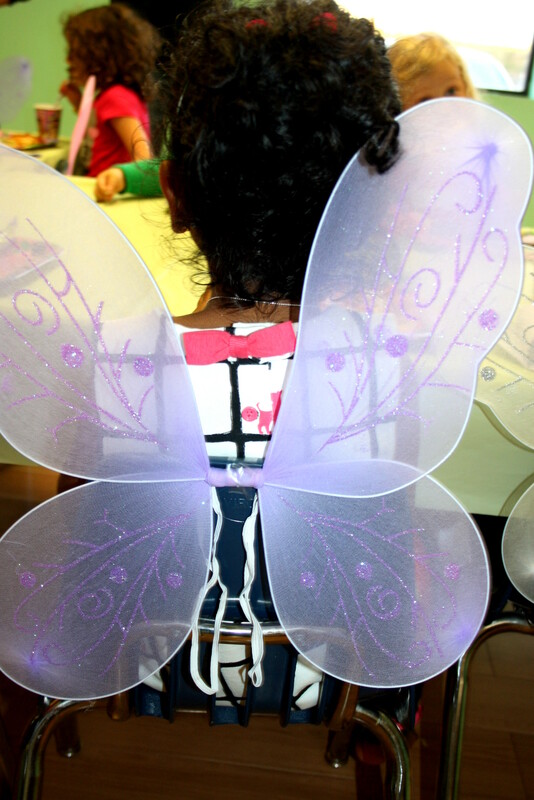 • Wings – Another dollar store find, I was very worried that there would be some fighting over wings, but fortunately the girls didn’t get into it and a quick taping onto the back of standard plastic chairs really upped the prettiness. 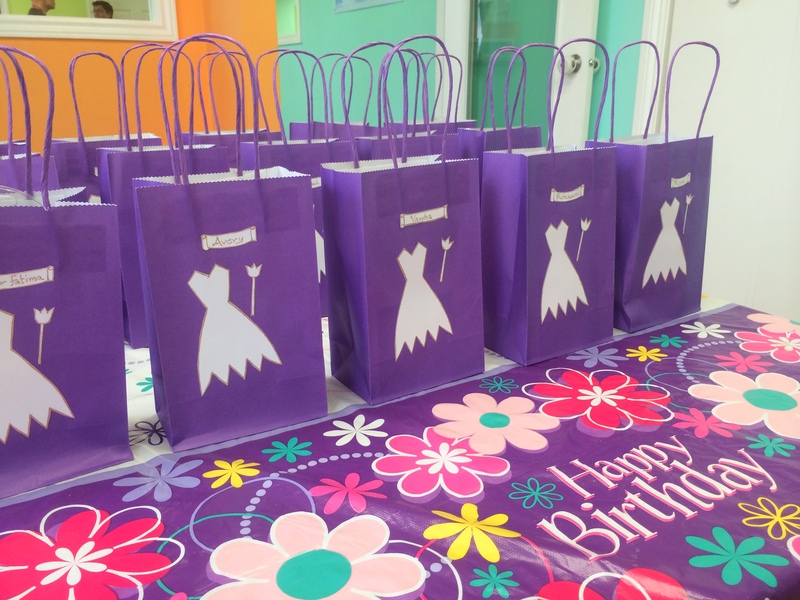 • Loot bags – I wanted something simple and whimsical and here is what I came up with. Inside the lootbags I put Disney Fairies watches, stickers, Nerds, a mini Crunch bar and a lollipop. The girls also got to take their wings and wands home. • Not pictured, but used were this Tinkerbell Scene setter and Tinkerbell balloons. So there you have it a Fairy party with a whole lot of Fairy and a little bit of Tinkerbell. Hope this gives you some good ideas for your own party – or at least the confidence that if I can do it so can you 🙂 Happy birthdaying! Such a lovely party and cute little touches! Wow.. This is the best gift !! I hope the li’l princess njoyed the treat?!! Even I feel inspired to do some sort of this on my li’l ones birthday.. Awesome!! You made your little girl so happy! wow . . . i wish i was your daughter’s friend and attended such a sweet sweet party. stay blessed. thanks for sharing so much in detail. 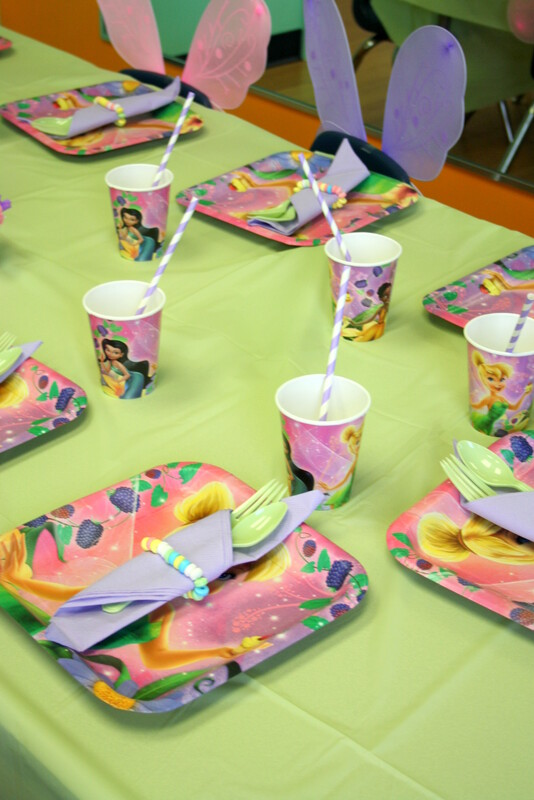 What a beautiful party…and it doesn’t look like disney threw up all over it! Especially love the cakes!